This website is operated by Ride Skincare Ltd. Throughout the site, the terms “we”, “us” and “our” refer to Ride Skincare Ltd. Ride Skincare Ltd offers this website, including all information, tools and services available from this site to you, the user, conditioned upon your acceptance of all terms, conditions, policies and notices stated here. This site may contain certain historical information. This information may or may not be current and is provided for your reference only. We reserve the right to modify the contents of this site at any time, but we have no obligation to update any information on our site. You agree that it is your responsibility to monitor changes to our site. These Terms of Service and any separate agreements whereby we provide you Services shall be governed by and construed in accordance with the laws of Ride Skincare Ltd, 30 Queens House, Little Queens Road, Teddington, TW11 0HS, UK. Questions about the Terms of Service should be sent to us at info@rideskincare.co.uk. If after you opt-in, you change your mind, you may withdraw your consent for us to contact you, for the continued collection, use or disclosure of your information, at anytime, by contacting us at tom@ridesincare.co.uk or mailing us at: Ride Skincare Ltd, 30 Queens House, Little Queens Road, Teddington, TW11 0HS. You can pay for your purchases securely and easily online. We accept payment through PayPal, all major credit and debit cards are accepted. All transactions are processed using PayPal, the UK’s leading secure online payment systems. PayPal provides very high levels of internet and physical security to ensure that sensitive information is never compromised. This means our website is safe and secure and your credit/debit card details cannot be obtained by anybody else.  Payment should be made in full at the time of ordering goods directly via the Ride Skincare website. Ride Skincare care reserves the right not to send out the products until the transaction has been confirmed by the appropriate card service provider. All products remain the property of Ride Skincare care until payment is cleared. If you would like to: access, correct, amend or delete any personal information we have about you, register a complaint, or simply want more information contact our Privacy Compliance Officer at tom@rideskincare.co.uk or by mail at Ride Skincare Ltd, 30 Queens House, Little Queens Road, Teddington, TW11 0HS, UK. If you haven’t received a refund yet, first check your bank account again. Then contact your credit card company, it may take some time before your refund is officially posted. Next contact your bank. There is often some processing time before a refund is posted. If you’ve done all of this and you still have not received your refund yet, please contact us at info@rideskincare.co.uk. Our products are shipped within 2-3 Days using the following carriers: USPS, FedEx, UPS, and Royal Mail. To return your product, you should mail your product to: Ride Skincare Ltd, 30 Queens House, Little Queens Road, Teddington, TW11 0HS, UK. You will be responsible for paying for your own shipping costs for returning your item. Shipping costs are non-refundable. If you receive a refund, the cost of return shipping will be deducted from your refund. Depending on where you live, the time it may take for your exchanged product to reach you, may vary. If you are shipping an item over £30, you should consider using a trackable shipping service or purchasing shipping insurance. We don’t guarantee that we will receive your returned item.